If I were to look back through my credit card statements, they would show that every February I plan a vacation. It’s the month during which I update my resume and apply to dream jobs in places I’ve never visited, and are likely to have more sun. February in Buffalo, New York is grey. It was during a typical lunch this past February that I sat scrolling through Instagram trying to find some color. 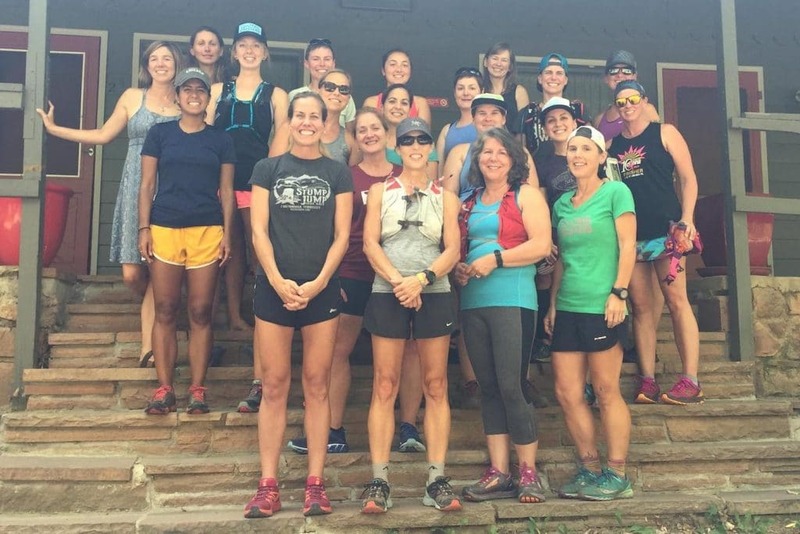 Trail Sisters posted a promotion for their first ever Run With Her Retreat in Boulder, Colorado. I was intrigued. Boulder has been on my travel bucket list since the first time I saw the movie Catch and Release, a quirky rom-com set in an idyllic town full of outdoor enthusiasts and herbal tea lovers. I sent a quick e-mail out to the Trail Sisters account. “When you say this retreat is for all levels, do you mean all levels?” I had a response in less than two minutes explaining, yes, all levels and abilities were invited— new runner, old runner, ultra runner, or hiker. 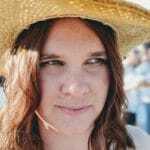 As a matter of fact, Gina replied, one of the attendees would be coming directly from the Leadville 100 and would likely want to take it easy. For the record, this was not a comforting statement to me. However, motivated by my usual February angst, I pulled out my credit card and signed up right away. It would be months before I found out if it was a good idea, but that was future Bree’s problem. One week after my thirtieth birthday, I sat at one of three picnic tables on the back side of the A-Lodge above a creek lazy with this summer’s lack of rain. Gina stood in front of us, giving us the run down of things and handing out the best swag bags ever. She asked us to introduce ourselves—name, hometown, and one thing you’d be willing to tell a stranger. Here is the information you’re get when you ask a group of women to introduce themselves: children, partner, pet children, work. Usually in that order. So we talked about our partners (or lack there of), our children (or lack there of), our jobs (or lack there of), and our fur babies. We also shared our love for running, what brought us to the trails, our anxieties about age and our bodies, doubts about our abilities. And there was no judgement. As women, we often pit ourselves against each other. Call it learned behavior or natural competitive drive. Whatever the reason, we’ve all been there and have seen it happen—we can get judgey. That circle of picnic tables became a space for shared vulnerability. There was an unconscious group decision, a unanimous vote to create an environment for all of us to learn, grow, and have the kind of fun playing in the woods that we felt as little kids. Five-thousand-three-hundred and twenty-eight feet above sea level we were breathing the rare air of authenticity. The next morning, we made our way up Green Mountain. In her first email to me, Gina promised a no-drop group. My experience with no-drop groups has historically been less than positive. Usually it goes something like this. The front runners take off like its the start line of the biggest race of their lives, leaving the rest of us to try to keep up. There are generally stops along the way in which the people of front audibly or subtly express annoyance at having to wait for us back-of-the-packers. By the time I get there, I’m exhausted and also trying to look totally chill. I woke up that morning a little anxious on how things would go, worried about falling behind. Worried more about what the rest of the group would think of me, because here’s one thing that I’ve learned about myself—I have a chronic case of imposter syndrome. I stumbled onto a love for running as a doughy, clumsy twenty-year-old English major. I grew up reading books on the bleachers, not running around a track. So, surrounded by these incredible women was just the right kind of place for me to ask the question: am I really a runner? The troop on top of Sanitas. The trail was challenging. We spread out along the way, falling into natural packs and keeping casual conversation. There was no race, no jockeying for position, no competition. It was a very different experience for me and a true “no-drop” group. In the end, we all reached the peak in our own time. We all soaked in the same sunlight. We all saw the same incredible view. Life lesson: no one minds waiting on the top of a mountain. The rest of the weekend was full of energetic conversation about running (of course), womanhood, definitions of family and love, vocation, taking risks, and making “good choices” (in the wise words of Courtney Dauwalter). We talked about the importance of community, of having your squad, your BFFs, and your trail sisters to empower you. I could have chosen to vacation anywhere. I thought that I was just looking for a little color in my life. In reflection, I think I was seeking inspiration. I found that and a few new friends. Bree Rehac, of Buffalo NY, almost always has a streak of dirt on her inner calf. She loves shoes, but hates to wear them. Bree learned to run on accident—even worse, on a treadmill. Since that first fateful mile, she’s been seeking out longer distances, new terrains, and the answer to why she loves running so much.